Shanghai International Advanced Rail Transit Technology Show, known as ARTS, has been organized by domestic and foreign rail transit industry related government authorities,association/society, and the Council for the Promotion of International Trade. Since the first event of ARTS, we have been receiving supports from the following organizations and institutions: China Civil Engineering Society, China Rail Transit Industry Association,China Railway Engineering Construction Association, Beijing Railway Society,Shanghai Railway Institute. In 2009 ARTS was approved by the Ministry of Housing and Urban-rural development, as well as the ministry of Science and Technology,it has become the only exhibition approved by the both governmental ministries. Shanghai International Advanced Rail Transit Technology Show 2019 will be held on 26th-28th June 2019 at the Shanghai New International Expo Center (No.2345 Longyang Road). It is the best platform for rail transit industry enterprises. 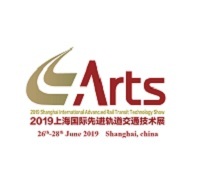 More than 10 professional seminars and summits of Urban Rail Transit will be held during ARTS 2019. We are looking forward to communication and discussion about new product, in genuine technology and industry breakthrough!